Biochar is a new but also an old thing. Biochar is produced by low oxygen pyrolysis, or dry distillation. 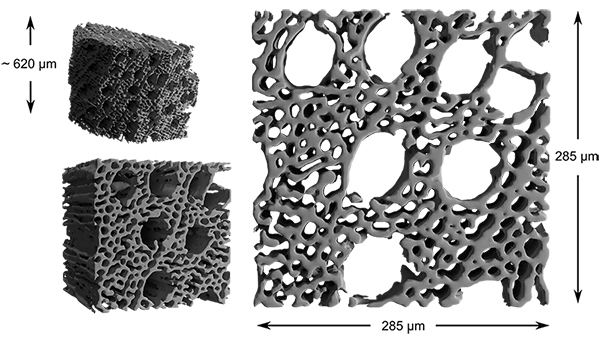 Thanks to this method, the natural porous structure of the raw material remains in biochar. Fossil carbon, such as coal extracted from the earth, can be considered the opposite of biochar. “Biochar” is as imprecise a term as “a car” since biochar properties vary widely. 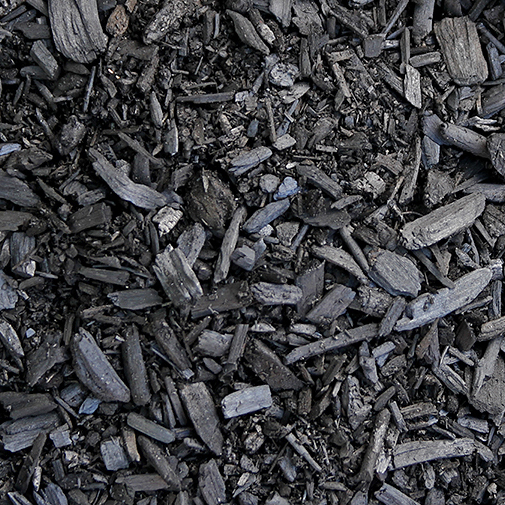 For example, the characteristics of charcoal and the porous biochar produced by Carbons are very different. Carbons Plus porous biochar can be used, for example, for soil improvement, increasing composting efficiency, stormwater treatment, seepage and runoff waters, or transfer of useful microorganisms and a substrate. An addition of a probiotic microbe mixture will further enhance the biochar benefits. Our partner, Suomen Biokiertotuote Oy, manufactures various microbe mixtures that we add to biochar. The composition of the added microbe mixture depends on the use of the biochar product. Biochar has been this far used in nearly 60 different applications. It can be used, for example, in cosmetics, heat and sound insulation, manure composting, substrate and soil improvement for landscaping and in stormwater management. Biochar effectively binds water, elements and chemical compounds such as nutrients or contaminants. Biochar improves soil quality as it acts as a substrate for soil microbes, improves soil structure, decreases acidity, and retains water and nutrients to be used by plants. Biochar acts as carbon sink and thus reduces climate change. 1 tonne of biochar contains 3.7 tonnes of carbon dioxide. Biochar is important in achieving the goals of the Paris Climate Agreement. Almost any organic material can be used as raw material, and even non-organic carbon materials can be charred. The ability of biochar to bind elements and chemical compounds such as nutrients or contaminants is good. It retains water up to five times of its own mass. Nearly 60 different applications have been found for biochar. It can be used, for example, in cosmetics, in composting manure of fur animals, and as a substrate for green roofs. Biochar improves soil quality as it serves as a substrate for soil microbes, enlivens and balances soil and retains nutrients in a form that can be used by plants. Biochar acts as carbon sink and thus reduces climate change. 1 tonne of biofuels binds 3.7 tonnes of carbon dioxide. Biochar may be a future emission trading product. Biochar properties can be adjusted. It does not have all the desired properties at the same time, but by varying the raw materials and manufacturing methods different effects can be produced. The manufacturing process can also produce other commodities such as gas, pyrolysis oil, wood vinegar and heat. They can, in turn, create a new business. Has an excellent pore structure: 200 m2 / g, target 700-800 m2 / g. The more pores there are, the larger the active, functional area. 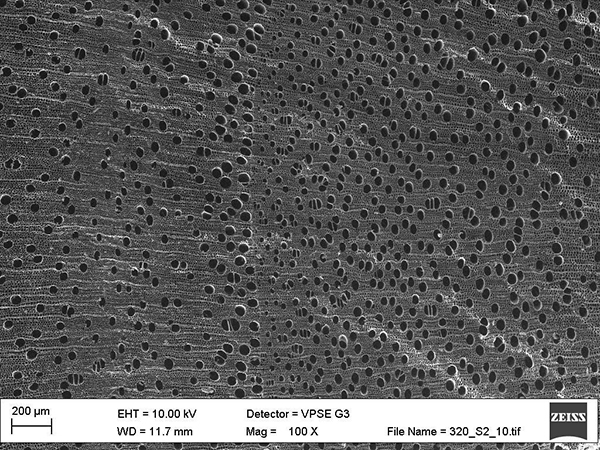 The advantageous pore distribution, on the other hand, enables various properties. Willow-based biochar has proven to be the most functional raw material in a variety of tests. The properties of the biochar produced from willow can be modified by manufacturing methods or chemically or, for example, by inoculating suitable microbes. Willow is the fastest growing tree species in Finland. This is another reason why it is well suited for biochar production.